From the king’s maidservant, from Naʽarat [a place near Jericho], jars of wine, to Jerusalem. 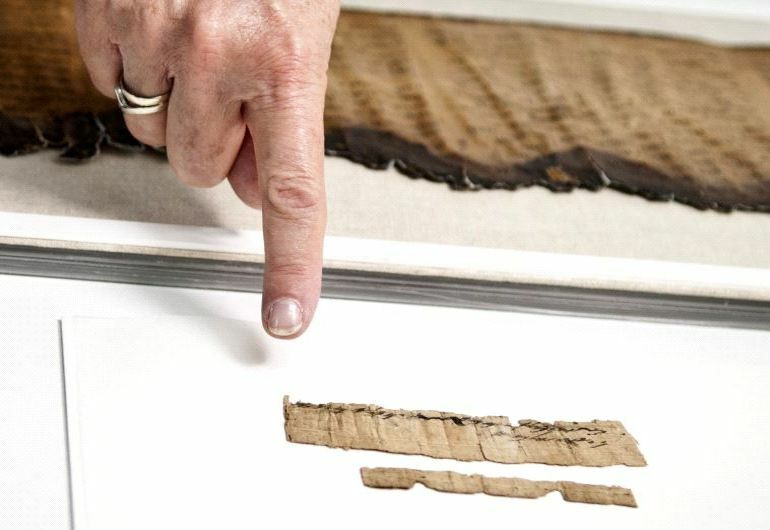 Stolen from a cave in the Judean Desert by robbers during antiquity, the papyrus has since been recovered by Israeli authorities, and dated with the help of radiocarbon analysis. According to experts, it roughly belongs to the time when King Solomon constructed the First Holy Temple in 957 B.C. As described in the Hebrew Bible, the structure was destroyed some 400 years later during the Siege of Jerusalem by Babylonian king Nebuchadnezzar II. It’s the first time we encounter the name Jerusalem on a papyrus, which was probably written by a woman. That’s very exciting. 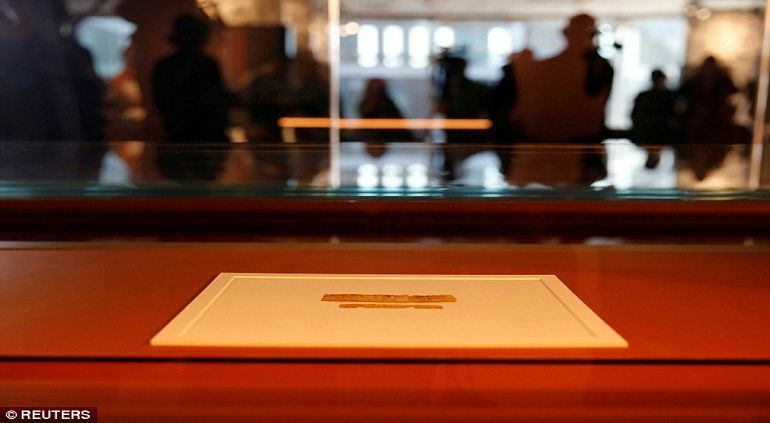 The discovery of the papyrus on which the name of our capital Jerusalem is written is further tangible evidence that Jerusalem was and will remain the eternal capital of the Jewish people. The Temple Mount, the very heart of Jerusalem and Israel, will remain the holiest place for the Jewish people, even if UNESCO ratifies the false and unfortunate decision another 10 times. Contrary to what the Israeli government claims, the resolution that was voted by UNESCO aims at reaffirming the importance of Jerusalem for the three monotheistic religions, Christianity, Judaism and Islam.